Daniel Blake Smith is a writer and filmmaker who loves to tell true, compelling American stories. Raised in the north Texas town of Wolfe City and educated at Oklahoma State University and the University of Virginia (where he received his doctorate in American history), Smith is the author of four books, most recently, OUR FAMILY DREAMS, a novel-like narrative family saga that vividly explores the adventures of a Vermont family across 19th century America. Many of Smith’s films likewise focus on powerful, pivotal moments in our nation’s past: he wrote and coproduced ”February One,” a documentary about the 1960 Greensboro, North Carolina, lunch counter sit-in that helped launch the Civil Rights Movement of the 1960s. 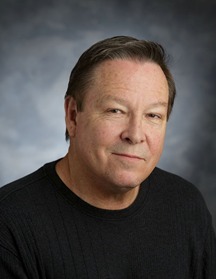 “February One” aired nationally on PBS’s ‘Independent Lens.’ He also wrote two prize-winning documentaries (both narrated by film star James Earl Jones) about native American life: “Cherokee Legacy: The Trail of Tears,” and “Black Indians: An American Story.” Smith’s documentary biopic about Edgar Allan Poe (“Terror of the Soul”), starring John Heard and Treat Williams with music by Philip Glass, aired on PBS’s “American Masters” series. Smith’s documentary history of Kentucky, narrated by Ashley Judd, “Kentucky—An American Story,” aired in May 2011 on Kentucky Educational Television. Smith’s current work includes various film and book projects in development. He is the writer/producer of TEXAS HEART, a drama, now in postproduction. THE WESTCOAST KID is a film adaptation of the true crime story of the same title, currently in development. OUR FAMILY DREAMS: THE FLETCHERS’ ADVENTURE ACROSS 19TH CENTURY AMERICA, is a non-fiction book that will be published by St. Martin’s Press summer 2016.